Under the main title of the Our Australian Girl series, there are four Australian girls who each have their own series. The four girls are Grace (a convict girl from 1808), Letty (a free settler in 1841), Poppy (a gold rush girl in 1864) and Rose (a Federation girl in 1900). Penguin Books sent me the first book for each girls’ series. Each book is an adventure and you learn a bit about Australia’s history without even trying to. 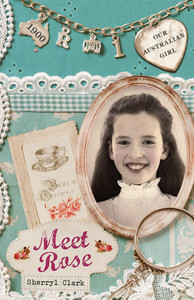 They aren’t true stories, but they are based on the lives of children who lived in those particular times in Australia. Grace is poor and lives with her uncle in London. She loves horses, particularly the horses on Fleet St and one day she steals an apple from a cart to give to one of them. 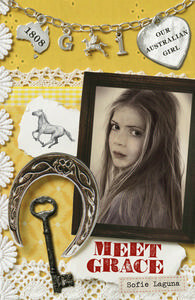 Grace is seen stealing the apple so she runs away and she’s terrified about being caught—she knows she might be sent to prison or something even worse. 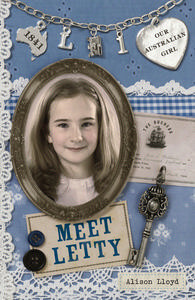 Letty’s big sister is about to go on a sea voyage to Australia to start a new life. When Letty and her father go to wave goodbye, there’s a misunderstanding and Letty somehow ends up on the ship too. There’s no way to go home to her family, she has to stay on the ship and nobody seems pleased to have her on board. Life on the ship is hard, but what will life be like when they arrive in Australia? Poppy lives at Bird Creek Mission near Echuca during the Gold Rush. She hates it there—and her brother, Gus, hates it, too. When he runs away from the mission, Poppy really misses him. She decides to run away from the mission and find him. But how can she escape without being caught? Will it be easy to find Gus when she doesn’t know the way? These books are suited to girls aged 8–11, especially girls who love reading books in a series and like stories with adventures and friendships. 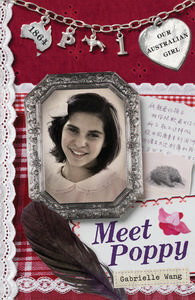 Don’t forget to read our interview with Gabrielle Wang about writing the Poppy series! These four titles from the Our Australian Girl series were sent to us by Penguin Books Australia. Thanks for stopping by, Michele. Hope you enjoy them, too.